Got a Pest Problem? 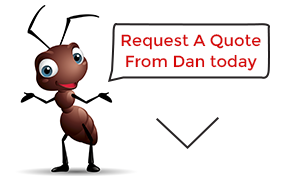 - Our names are Dan, Collin and Paul - together we provide a quality, cost-effective pest control solution for Perth homeowners and businesses (especially restaurants and supermarkets). With our vast experience in all aspects of commercial and residential pest control and a passion for unsurpassed customer service, we always go the extra mile to ensure our clients get the pest control solution that best meet their needs and budget. This passion for delivering superior levels of pest control and commitment to our clients makes us the right choice for your pest control needs. 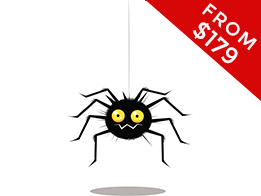 Whether you are buying a new Perth home and need a thorough pre-purchase pest inspection so you don't buy into a financial sink hole, or you have urgent pest control issues that need to be dealt with. Dan, Collin or Paul from Megatec Services Pest Control can inspect, advise, quote and treat your home (or business) on the broad range of pest control measures available. Our service is fast, friendly, reliable and professional, we’re fully licenced and we back up our promises to our customers with careful work to achieve a safe result for your family. 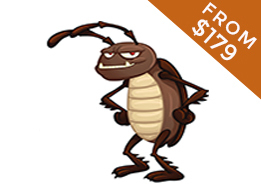 Get in touch with our friendly pest control experts today to learn more. Pre Purchase Timber Inspections - "Termite Inspections"
The CSIRO report that over 650,000 homes have been infested with termites in the last five years. The report also estimated the cost to treat the problem and repair the damage is in excess of a staggering $3.9 billion! whether there’s existing damage caused by timber pests. Our Pre Purchase Timber Inspection Services are thorough and delivered within 24 hours of inspection. 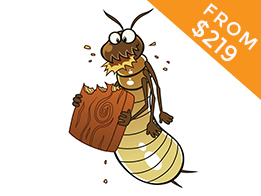 "Termites Cause $3.9 Billion Damage - Except You Can't Hear Them Munching"
FUN FACT - Termites are closer to the cockroach family than they are to the ant family. The six legs on a termite make it look similar to an ant but it does not have the three body segments that an ant has, only two. 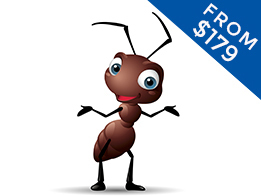 Many Perth residents call termites "white ants" because they look similar and it is a name that has been passed down for decades even though it is incorrect. However we don't care what you call them, if you have termites or white ants around or in your home then give Megatec Pest Control a call on 1300 032 748 to learn what can be done and what you will need to invest to protect your home. While in Thailand they sell cockroaches as a food, in Perth, the cockroaches are eating your leftover food and breeding into the tens of thousands in your wall spaces, ceiling, cracks and under your floorboards. Cockroaches can be very difficult to get rid of and their numbers will grow back over time if you don't stay on top of them. That's when you see them scuttling across the floor of your bathroom and making you feel sick. We go to war with your Cockroaches and hit them hard so you don't have to 'shareyouspace' with them as they crawl through all your gear as you sleep at night. 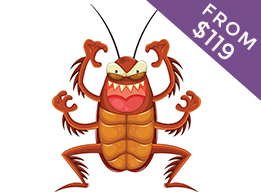 We can even package a cockroach treatment with other treatments and save you money on the combined treatments. If you lie awake at night hearing little noises in your roof then make sure you have a fire escape plan. Make sure you can unlock your doors or windows and get out in case of a fire caused by your wires being chewed and then shorted out. If you want your rats eRATicated then we know how to break the breeding cycle of these rapid breeders. Setting up a perimeter termite alert system is one of the smart things modern homeowners are doing to ensure their biggest investment is protected.. Call Megatec Services pest control today to learn more about the reliable pest control monitoring services we provide. "A QUEEN TERMITE LAYS 2000 EGGS PER DAY AND CAN LIVE FOR 25+ YEARS"
Do you hate it when you get that special occasion dress out and it has been eaten through by silverfish? How much money is wasted because of these tiny silver squishy things that like to eat out clothes. One treatment is likely less than one outfit so you are saving money and ensuring your carefully selected purchases do not go to waste. Call us, we can help. We use our chemicals safely. 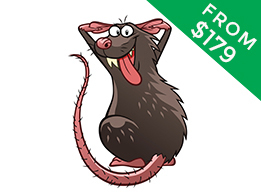 MTS Pest Control Services are three expert pest controllers providing the highest standards of service to Perth clients at affordable and value for money prices. To learn more about the wide range of pest control services and prevention products we provide, call us today on 1300 032 748.